For estate agents with an office and roaming agents, it can be challenging to keep track of all the details, viewings and diary management. Poor communication between team members can lead to confusion which can then affect the efficiency of work. Without all team members having access to the same information at the same time, then it can negatively impact customer service, which could prevent sales and, therefore, affect profits. Instead of endless phone calls, back and forth communication and continuing changing plans, there is a better solution. There is an option that provides everyone with the same information so that they can do their job with ease. The answer is a hosted desktop. 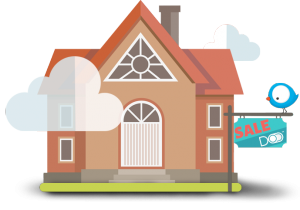 Why are hosted desktops perfect for estate agents? A hosted desktop does away with expensive servers and costly equipment and provides estate agents with an accessible, convenient solution. By switching to a hosted desktop, those who work on the move, as well as those in the office, can access the same information at the same time. For agents who are conducting viewings, a hosted desktop can have all of the data, software and critical property information available at all times. This can vastly improve the impression the viewer receives. Instead of potential clients waiting to hear back for their questions, agents can have all the information to hand. Therefore, real-time data means there is no need to call back the office and ruin the rapport with clients. When managing a team across multiple locations, collaboration can be tricky. However, updating and sharing this information in real-time can significantly help. Hosted desktops can provide greater oversight for senior staff. As well as this, office and roaming agents can plan more efficiently, especially regarding diary management. This is vital as moving appointments can be a major irritation for viewers. With a hosted desktop, users can have peace of mind that there is the safeguarding of data. All necessary security functions are in place and updated regularly. This reduces the IT costs for the business and lessens the time spent on IT processes. In a profession with high employee turnover, it is easy to add and remove users as needed. This can be a significant benefit if agencies enlist contractors to help with viewings. As well as the specific benefits that can help estate agents, hosted desktops offer multiple benefits that can help with all aspects of work from lowering costs, improve security, reducing risks for business continuity and making it easier for everyone to be more resourceful and work smarter. Try a free demo to see the benefits a hosted desktop can bring to your business.